Travel is a piece of cake with this care package! The dog about town never knows if she’s going to need a spruce-up, or if he might find a nice puddle to stomp through. 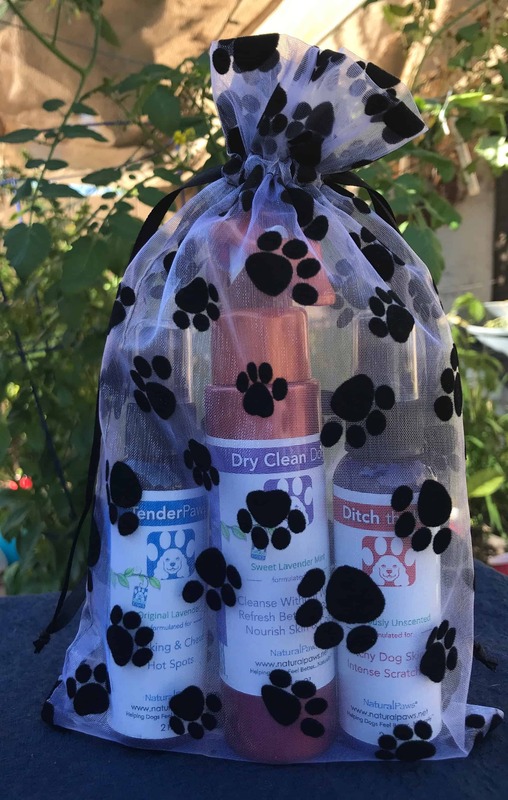 Dry Clean Dog sprays over the dog’s coat, attaches to dirt, oils, and allergens in the fur or hair, and towels off along with the yucky stuff. 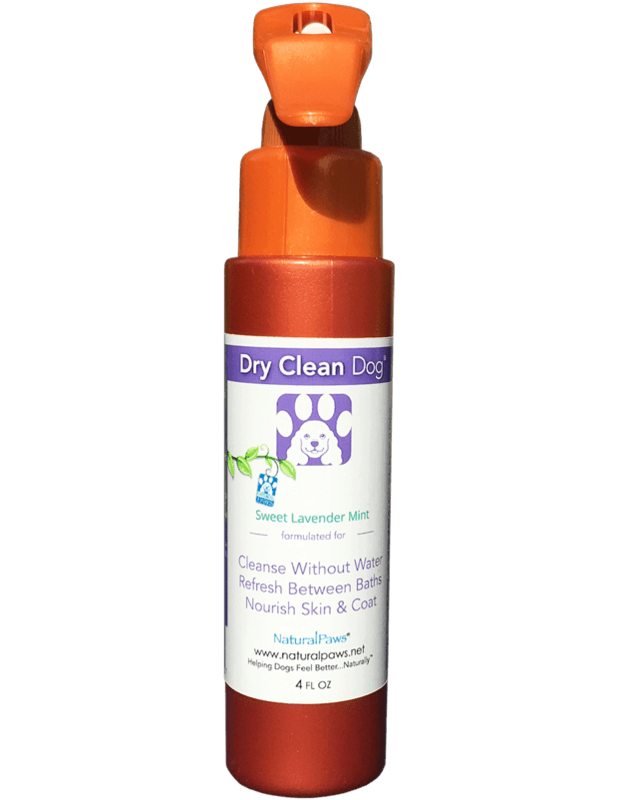 Leaves the dog fresh and clean with a sweet lavender mint aroma. Passers-by will think you’ve just come from the spa! Is your pup itchy, especially when it’s the season to explore? Ditch the Itch acts as a natural anti-histamine, relieving the itch on contact. No side effects, use as often as scratchy, safe if licked. Oh yes, it’s true! Nothing spells relief like soothing those tired paw pads after a really long walk…erase the stress of the asphalt and paved paths before the dog decides it’s tongue-bath time. We all know how enticing it seems to be for a dog to “go to town” on her paws after a day out. Let’s nip this one and send her to her happy place with this nutritive paw formula. Simply sit & spray, then go play! This care pack is a perfect gift, with each of our best sellers, wrapped in an adorable pawprint organza bag.